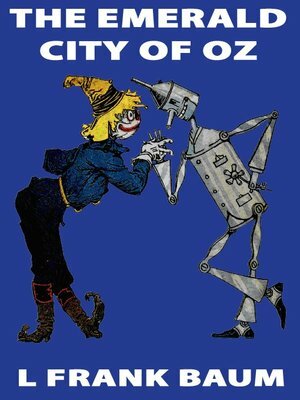 The Emerald City of Oz is the sixth Oz book. In this book, Dorothy and the Wizard take Aunt Em and Uncle Henry on a tour of Oz. During their journey they encounter such amazing and amusing people as King Kleaver with his Spoon Brigade and Miss Cuttenclip of the land of paper dolls. But while Dorothy and her friends play, the wicked Nome King has joined forces with the terrible Whimsies, the fearsome Growleywogs, and the evil Phanfasms in a plot to capture the Emerald City.